John Singer Sargent: Gassed is open from Friday, Feb. 23, through Sunday, June 3. It wasn’t until he arrived at a British dressing station southwest of the French city of Arras that famed American artist John Singer Sargent finally found his subject for a long overdue painting. The final product, “Gassed,” measures more than nine feet tall and 21-feet long. 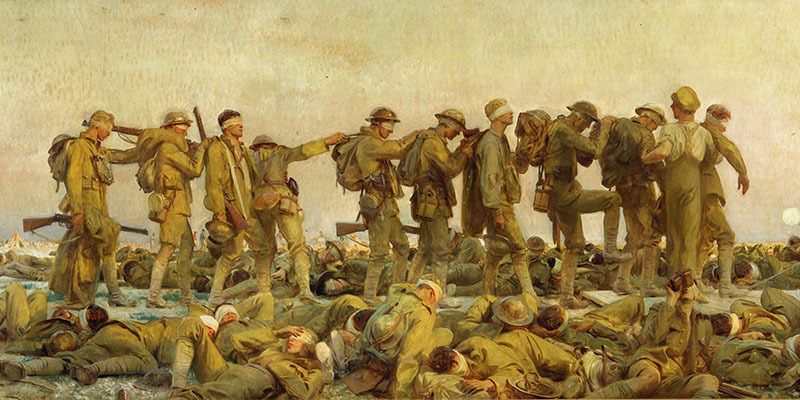 The striking work is the focal point of John Singer Sargent: Gassed, the debut exhibition in the new Wylie Gallery at the National WWI Museum and Memorial. 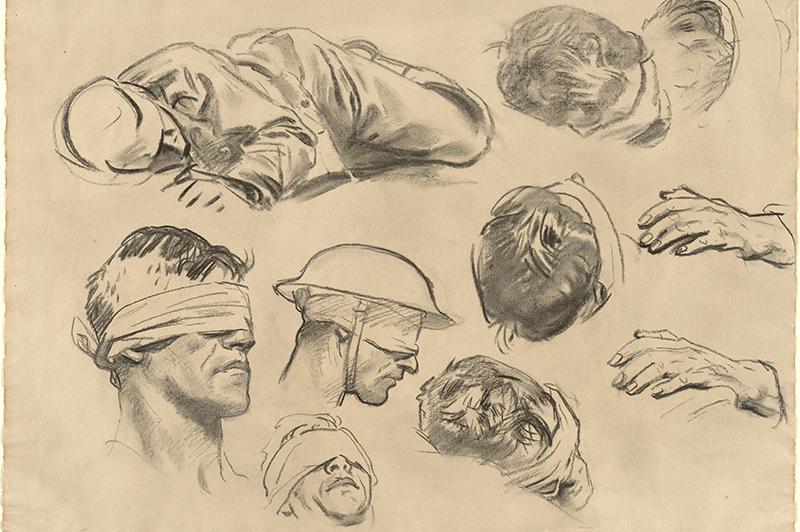 Considered one of the most important war-related works of the past several centuries, “Gassed” has been hailed as “monumental” by The New York Times, a “masterpiece” by the Daily Mail, “magnificent” by The Telegraph, “epic” by the Associated Press and “extraordinary” by The Guardian. The panoramic scene not only shows the devastation to the young men in uniform, but in an ironic juxtaposition, a soccer game being played in the background. The painting, which is on loan from the Imperial War Museums in the U.K., has been viewed by tens of millions of people since its completion in 1919. Its significance has grown over time, as noted British broadcaster/historian Jon Snow hailed the painting as one of the “10 Best British Artworks About War,” while The Guardian listed it among “1,000 Artworks to See Before You Die.” This marks just the second occasion the masterpiece has been on exhibition in the U.S. and the first time it’s been in the Midwest. The exhibition also includes original maps showing the location of the dressing station where Sargent witnessed the scene and reproductions of many of Sargent’s study drawings for the painting. 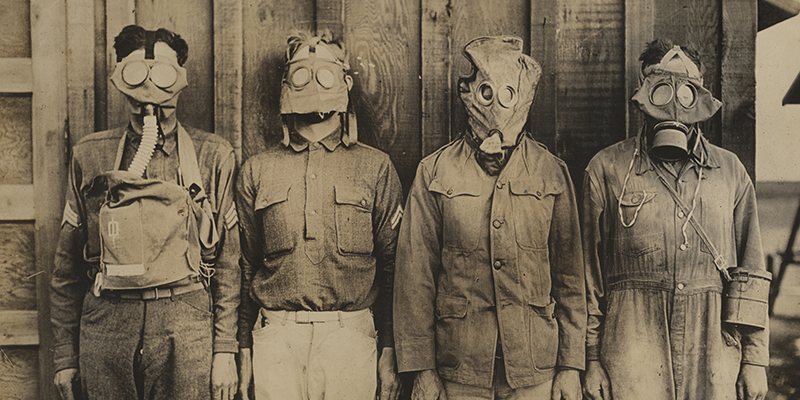 Additionally, the Museum and Memorial partnered with the U.S. Army Chemical Corps Museum to feature historical and contemporary objects showing detection and protection from chemical warfare from World War I through the modern era. Assistance was also provided by MRI Global. Presented by Buffalo Funds, John Singer Sargent: Gassed is open from Friday, Feb. 23, through Sunday, June 3.